“A good puzzle would be to cross Dublin without passing a pub,” writer James Joyce reputedly suggested. But actually it would be just as impossible a task to locate a town in Ireland and England without a pub. Recently my wife, Jackie, and I set out to find unique pubs in those countries. Initially the challenge we set for ourselves was to find the very oldest ones. We soon found that many pubs claimed to be the oldest. In any case, almost all pubs were old by our North American standards. “Recent” pubs dated back to the 1800’s. Older pubs claimed histories back to the 1700’s and “ancient” ones had fireplaces, walls or courtyards that were dated back to the 1500’s. So we modified our original criterion and looked for pubs with unique stories or histories. Our search began in Galway, in western Ireland. There we found what could best be described as pub-lined lanes. The most popular is The Quays (11 Quay Street, Galway, Ireland). This pub is “only” about 200 years old but has artifacts and furnishings that are much older. There are six bars, each with a distinct décor and furniture. We sat on ancient theater seats in a small alcove listening to music and watching the lively, young crowd drink their ales. The story that attracted us to this quaint place was that of the original owners, two sisters, Mary and Delia Lydon. Delia was said to have been an ultra-large woman whose bloomers when hung out to dry would be mistaken for sails by fisherman in Galway Bay. Bunratty Castle sits on the mouth of the Shannon River. A modern bridge now spans the river but centuries ago a wooden toll bridge was there. Nelly was the toll keeper. One night she was robbed and that night in her restless sleep she dreamed up the recipe for poitín (pronounced put-CHEEN), the Irish version of white lightening (illegally distilled whiskey). The drink was a hit with travelers and Nelly opened a pub. The current 17th century ramshackle cottage houses many rooms and still serves travelers. Durty Nelly’s is said to be the oldest pub in Ireland. A claim we couldn’t verify. Here we learned that all castles had pubs to provide rest and recreation for the soldiers. And there were pubs at almost all river crossings, as well. The pubs then and now provided many services. 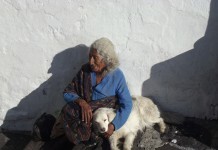 They were places to sleep, conduct trade, eat, store goods, gather, gossip and be entertained. Pubs across Ireland and England have a familiar comfort. Low-beamed, smoke-darkened, smelling of centuries of peat or wood fires with walls covered with ancient graffiti, the traveler quickly feels at home. Local history is preserved on “Durty Nelly’s” walls. Pictures of heroes, even the firemen of Irish decent who perished at the 9/11 terrorist attacks in New York City are enshrined for posterity’s sake. Yet each pub is individual in its placement, name and character. Names such as the “Pickled Pilot”, “Rat and Parrot”, “The Brain’s Surgery” “Frog and Nightgown” and “The Tippling Philosopher” are surprisingly common. Pubs are located in old mills, ancient manors, barns, stables, old jails and even suicide sites. Wherever life happened, there was a pub to toast to it. As we made our way to the Republic of Ireland’s capital Dublin, we found that there was at least agreement on the oldest city pub here. 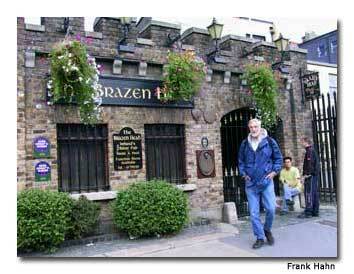 “The Brazen Head“ (20 Lower Bridge Street, Dublin, Ireland) is acknowledged as having been in the present location since 1688. Records show that the site dates back to the 11th century. Located not far from the landing site of the Norman invasion led by William the Conqueror in the 12th century and near the Dublin Castle, the claim seemed believable to us. The pub has been a witness to history, as the chiefs of the Irish rebellion of 1798 met there. Even Winston Churchill was a patron once. We sat almost invisible in a darkened corner and could easily imagine the secret talks. Today the pub is a tourist attraction but locals still meet to play pool, darts, chat, and have an ale or cider after work. The walls are covered with historical soot-stained pictures and posters. Beer kegs fill the front courtyard along with tables that are used in the summer. Worth a visit if only to say that one has been in Dublin’s oldest pub. And said, “What a good boy am I!? Bath; www.talbotinn.com), which is a pub today. Talbot House is located on the Talbot estate which was once owned by Thomas Horner (Jack in the nursery rhyme) who allegedly filched the deed from a pie. As the new head of the Church of England, Henry VIII confiscated Roman Catholic property in England between 1536 and 1540. Legend has it that during the dissolution of the monasteries, the Abbot of Glastonbury sent his steward Thomas Horner to the King with the deeds to eleven estates hidden in a pie. The manor deeds were a peace offering to avoid the destruction of the Abbey. Thomas had the job of delivering the pie, but extracted the deeds of the Manor of Mells, thereby becoming the Lord. Of course, descendants of Horner who still live in the Manor House dispute the story. The pub is located in a spacious barn where local farmers invited us to share an ale and talk. Behind the bar is a large mural depicting the everyday life on the estate: Farmers, herders, weavers, shepherds and dancers are depicted all happily serving the manor. Obviously showing the Lord’s view of manor life. Want to go jail? May as well go to one that serves ales and cider. The “City Arms” (69 High Street, Wells, England) is located in the ancient medieval town of Wells in Southwest England. 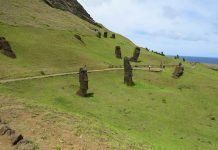 Little Wells (population about 10,000) remained largely untouched. High walls, moats, the oldest medieval street in England, a drawbridge and a large cathedral all exist as they were centuries ago. In the “City Arms” you may come upon the mayor, many students and a few tourists. Aside from manacles, leg irons and handcuffs hanging from beams the old pub doesn’t retain many of the trappings of the old jail, but a jail it was. On to the best known claimant of the oldest pub in England, “The George” at Norton St. Philip (High Street, Norton St. Philip, England; www.thegeorgeinn-nsp.co.uk), a small village six miles (9.6 km) southeast of Bath. “The George” looks really old. 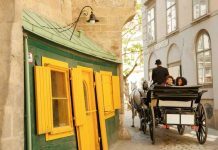 The 15th century building has low doors, a high arched gateway for coaches, multiple rooms, comfortable chairs, fireplaces and a board for a bar. Legend is that James Scott 1st Duke of Monmouth (1649–1685) and his troops stayed here in 1685 during the rebellion. The Duke, an illegitimate son of Charles II and pretender to the English throne must have been short, as anyone over five feet six inches (1.67 m) will have to duck to enter. The modern road in front of the pub detracts from its medieval look, but once inside it is easy to visualize life in a medieval roadhouse. The furniture would be desired by antique dealers, yet we were welcome to sit on 200-year-old chairs and set ale glasses on old tables. The only reminder of being in the 21st century is the occasional tourist taking a photo. Some pubs have it all, history, age, unique beer and a great setting. One such pub is the “Cross Guns” (14 Silver Street , Bradford-on-Avon, England). Located on the Avon River just outside the town of Bradford-on-Avon in West Wiltshire, the pub is centuries old and overlooks one of the engineering marvels of the 19th century. From a park-like setting one can watch canal boats cross the Avon on a high-elevated viaduct. The viaduct itself crosses a railroad track, which in turn crosses the river. Picture this: You might see a narrow canal boat motoring over a train, which is crossing over a ship sailing on the river. All the while sitting at picnic tables in a flower garden. The pub itself is unique. A huge fireplace dominates the main room. Next to the fireplace is a “priest hole” where Catholic priests were hidden to avoid death during the reformation. A previous owner who also owned a mill partially paid his workers in tokens, which were only redeemable for ale. The last token to be redeemed was used 120 years after being issued. Many world currencies didn’t retain their value as well as the ale tokens. At the barkeeps suggestion we tried Mill Worker’s ale and it was delicious. We enjoyed local ales and ciders in many more pubs ― some bridging rivers with huge still operable water wheels in the bar, others with claims of ghosts. If the pub was not crowded the bartender always had time to tell local history. If it was busy in the barroom, a local patron would surely inquire about us and tell the stories. 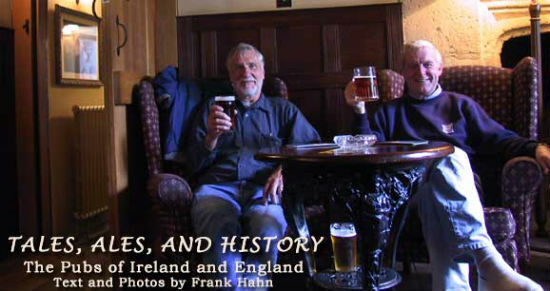 Pubs provide an easy, affordable and fun way to see England and Ireland. Pick a region, use the Internet or buy a local pub guide. Better yet just ask at the hotel, train station or a passerby. Everyone has a favorite pub and every pub has a tale.